Herbarium – Jardín Botánico de Cartagena "Guillermo Piñeres"
The Herbarium of the Jardín Botánico “Guillermo Piñeres” (JBGP) was founded in 1978 by Hermes Cuadros who directed it until the year 2000. Material was collected from several historical expeditions during the 1980s. Since 2016 collecting activities have increased and all seed collections are now associated with herbarium vouchers. Currently the collections are curated by Fabio Ávila and Santiago Madriñán. 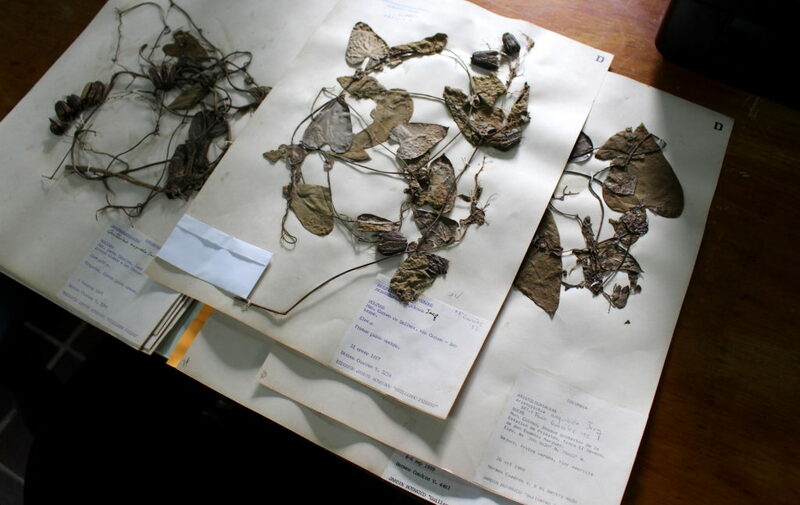 Herbarium specimens of Aristolochia anguicida. With ca 14.000 specimens, the JBGP Herbarium is the most important plant collection of the Colombian Caribbean. It includes two type specimens. In addition, it houses specimens from other tropical American countries for comparison purposes, donated by the many visiting botanists over the years, or obtained through exchange programs. We house important collection from eminent botanists like Hermes Cuadros, Enrique Forero-Gonzalez and Alwin H. Gentry. Many of the localities of our historical collections are either nowadays inaccessible, or the ecosystems have been dramatically transformed by human impact. This historical record of what was where is invaluable for future studies on biogeography, climate change, human impact on the landscape and nature development. Many of these collections have no duplicates in other national or international herbaria. Our team of volunteers mounts newly collected specimens on their final sheets. Approximately 400 newly collected specimens are added annually. Plant identification: We have a team of botanists ready to identify plants. We carry out ecological surveys and assist in planning of natural areas, gardens and landscapes. Botanical library: Our library includes key literature on the botanical diversity of the Neotropics. It is frequently consulted for identification purposes. Biodiversity loss compensation and ecological restoration: We hold a seed bank and grow seedlings of native trees and shrubs, all collected form natural, local sources. 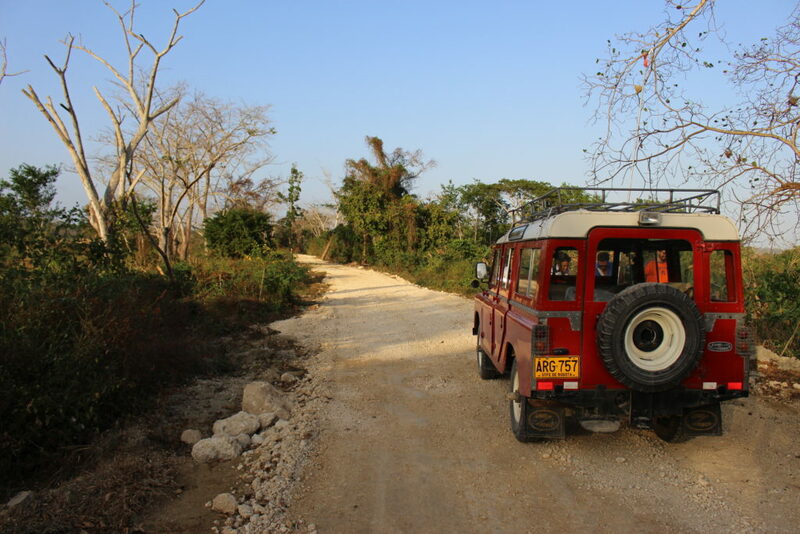 These are available in projects for ecological restauration of degraded areas. Conference venue: There are two meeting rooms available for hire, seating a total of 70 people.